Plays in your core. While you command personnel of three different species, cards opponents own may not destroy this event. 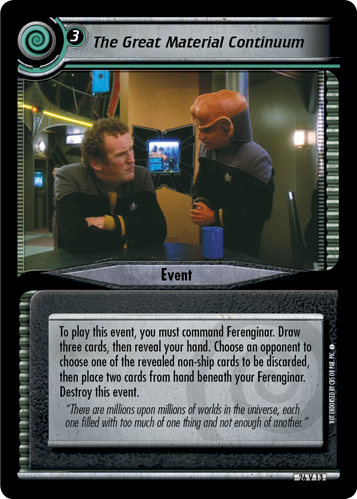 When a player downloads a non- personnel, if he or she already commands a personnel of the same species, that player must discard a card from hand. 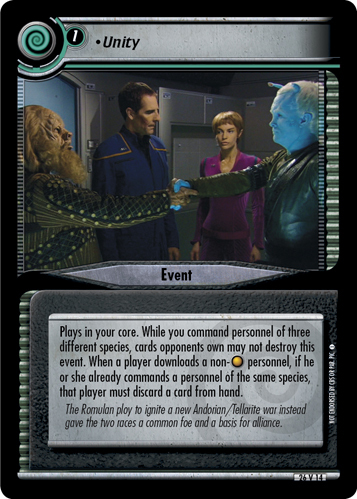 The Romulan ploy to ignite a new Andorian/Tellarite war instead gave the two races a common foe and a basis for alliance.